The 76th edition of the Golden Globes kick-started with the who’s who of Hollywood setting the red carpet on fire and then turned into an eventful night with the awards being announced inside the The Beverly Hilton ballroom. 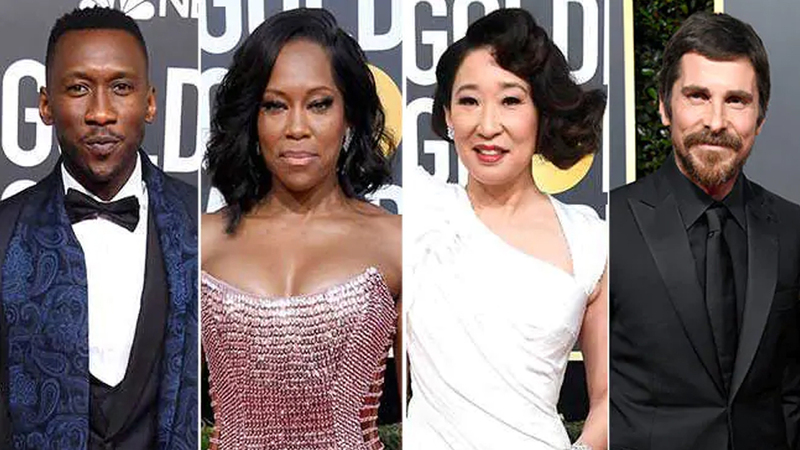 Hosting duties for this year’s Golden Globes are being shared by actress Sandra Oh, who scored a big win as Best Actress in TV Series, Drama, for Killing Eve, and actor-comedian Andy Samberg. Christian Bale wins big for Vice in Best Actor, Musical/Comedy. Bradley Cooper and Lady Gaga’s A Star Is Born scored it’s first win with the Best Original Song award for Shallow. Regina King won Best Supporting Actress In Any Motion Picture for If Beale Street Could Talk. Michael Douglas was the first winner to score a trophy for The Kominsky Method in the Best Actor In Television Series, Musical Or Comedy category. Richard Madden won Best Actor In Television Series, Drama for Bodyguard.